Toisin kuin laippamalliset korvatulpat jotka alunperin suunniteltiin sulkemaan äänet (ja myöhemmin myytiin käytettäväksi vedessä), Mack's AquaBlock -korvatulpat on alusta asti suunniteltu ja testattu suojaamaan korvaa vedeltä. 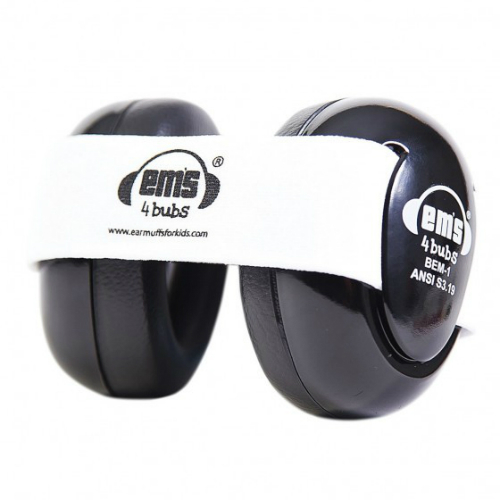 The earplugs are made of pre-molded, non-irritating silicone rubber and do not contain any latex. Are these earplugs designed to seal out water and reduce noise? No. 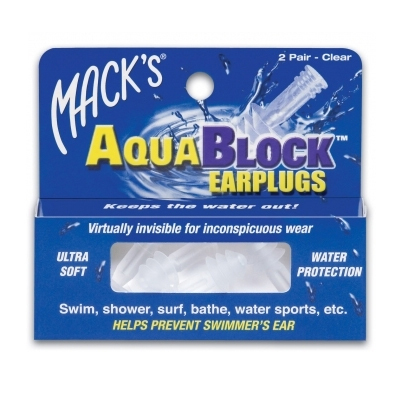 These earplugs were specifically designed to provide superior water protection. That is not to say that they cannot be used for noise protection, but the product does not currently carry a Noise Reduction Rating, nor does it make any claims that it is designed to be used for hearing protection. We do not recommend this type of plug while wearing ear tubes. Since flanged earplugs are inserted into the ear canal, we recommend that they only be used by those without pre-existing ear health conditions. 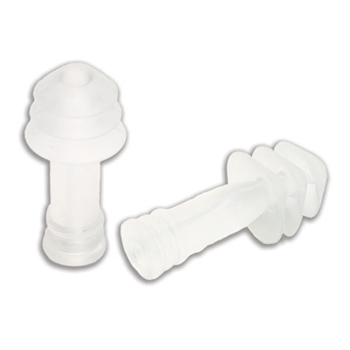 Use Mack's® Pillow Soft® moldable silicone earplugs while wearing tubes as they seal the ear without penetrating the ear canal. Consult an E.N.T. (ear, nose, and throat doctor) to see if they are safe to use for your particular case. If the earplugs are corded, be sure to remove the cord before water activities. Can these earplugs be used on children?